Flooring is one of the most important structural and aesthetic parts of a home. With as much foot traffic as floors get, they can wear down if they aren’t treated carefully. When you’re in the market for new floors, make sure to work with a company that has the type of flooring you need and can help you treat it as it ages. Empire Today is known for its in-home service and a range of flooring and window treatment offerings. With more than one million satisfied customers and 50 years of experience, the company is an enduring customer choice. Founded in 1994 and based in Toano, Virginia, Lumber Liquidators is an American retailer of hardwood flooring. It operates over 350 locations across the United States and employs more than 2,000 people. National Floors Direct offers a 15% price guarantee to prove they offer the lowest flooring prices available. Free next-day installation is available on all in-stock flooring, and furniture moving is included at no extra charge. For 60 years, Luna Flooring has been a premier flooring destination. Luna offers free room measurements and professional installation in addition to extensive warranties and finance options so you can get the floors you’ll love! Mohawk Flooring is made in the USA and can handle any flooring needs ranging from cork to carpet. Customers benefit from Mohawk's impressively long history in the business, they've been doing flooring since 1878. The Home Depot is a leading retailer and installer of carpet and other flooring. They offer special financing to approved buyers, and customers can track home improvement projects via The Home Depot MyInstall application. Armstrong Flooring is a market leader offering flooring at nearly every price point and design aesthetic. Their flooring options are available at major DIY retailers, online and in a convenient downloadable shopper's guide. Pergo established its name by inventing the laminate flooring business, and they continue to offer the best in durable flooring. Pergo now has 5,000 U.S. based retailers, so finding a great Pergo product is close to home. Flooring America offers exclusive brands to budget-conscious consumers who still want great design. With the My Floor Style app, users can upload photos to see flooring options against existing furniture and home decor. As one of the largest flooring retailers in the United States, Avalon Flooring offers a large selection of options including carpet, vinyl, hardwood and more. Extended financing is available to qualified buyers as well. Capture the warmth and natural beauty of wood with real hardwood floors. They’re available in several species in both unfinished and pre-finished strips and planks. Red oak is the most popular, but maple and ash are common, too. Plastic laminate can be laid as a floating floor—no nails or glue required—for quick, easy installation. Each tongue-and-groove plank has a dense fiberboard core topped with resilient, scratch-resistant plastic laminate. It comes in many different faux finishes and colors that resemble natural wood and stone. Whether ceramic, porcelain, marble or glass, tile comes in many forms. 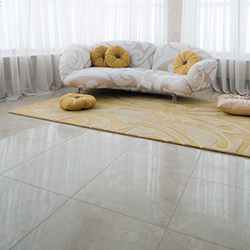 Ceramic tile is more commonly installed on walls, while porcelain tile is used on floors. And many porcelain floor tiles are manufactured to mimic the look of natural of stone, including granite, marble, slate and limestone. Fabric twist is a much better indicator of carpeting quality than weight is. Uncut carpet piles are good for high-traffic areas and resist stains well. Some retailers also sell carpeting that can be used outdoors. While some flooring and carpet companies specialize in discount products, others position themselves in the upscale market. When determining your budget, be sure to understand all pricing considerations. Seasonal sales: Smart shoppers can take advantage of seasonal sales to purchase materials for less. Measurements: Be aware that carpet was traditionally priced by the square yard (there are nine feet in one square yard), but in recent years many retailers are advertising square-foot prices. When shopping, make sure that all products are priced with the same square-area calculation. Resale value: Solid-hardwood floors, if maintained in good condition, will typically add more to the resale value of a home than any other type of flooring. Natural stone tiles are also highly desirable by homebuyers. Energy bills: Most flooring has little insulation value, so it won’t dramatically affect your energy savings. Carpeting has an R-Value of about 1.0, but when installed over dense polyurethane-foam padding can triple the insulating value to about 3.0. Stone and tile feel cool underfoot in summer, and in winter will hold and radiate heat if installed over a radiant-heat system. Flooring samples allow you to see the color, thickness, construction and quality of the flooring before purchasing it. Samples are especially important for customers who shop for flooring online. Price: Flooring samples are free from many companies, while others charge a nominal fee, usually less than $5. Of course, you can view and handle flooring samples at flooring stores and home-improvement centers, and some retailers will allow you to take samples home if you promise to return them. Analysis: You should consider texture, style and color when comparing samples; you can also test them to see how easily they scratch, dent and stain. 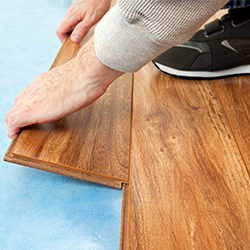 Availability: Most retailers have flooring samples on hand for you to take home, while manufacturers and online sellers will ship samples to you. Some manufacturers make just one or two types of flooring, while others offer a broader range of products. And although there are retailers who focus on one product category—tile, for example—most stores sell and install virtually every type of flooring. 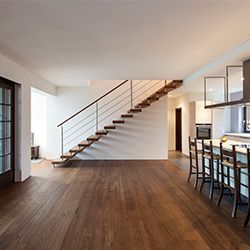 Hardwoods: You can sand and refinish solid hardwood floors so they don't have to be replaced. Engineered hardwoods are easier to install and come in many more wood species and colors. Ceramic, porcelain and stone tile: These materials are extremely durable and, when properly installed, waterproof. Tile is most popular in bathrooms, kitchens and foyers. 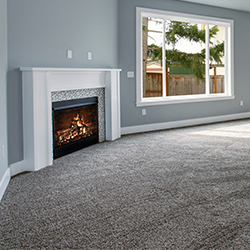 Carpet: Carpeting offers soundproofing, insulation, affordability and a soft, cozy feel under bare feet. It also goes down quickly with a minimal amount of mess and disruption to your home. Homeowners increasingly have the option to design their own flooring but expect to pay more for the privilege. Design floors yourself: Online tools and in-store design help can assist you custom-design the style, color and pattern of your new floor. Just be sure to check the flooring samples before ordering. Have a company design your floors: Several dealers customize flooring using photos, sketches and artwork provided by homeowners. Best materials for customizing: Carpet tiles and ceramic and porcelain tile are ideal for customization. This is done by placing the tile in unique designs, patterns and colors. Insurance: Installers should be insured and bonded to show homeowners that they've met minimum standards and have coverage in the case of a faulty installation or worker injury. Being bonded offers protection if an installer fails to finish the job. Fees: Be sure to ask about any additional charges for delivery, moving of furniture, or removal and disposal of old flooring. Warranty: Many installations come with warranties. As with all warranties, they provide varying levels of coverage for varying lengths of time. For example, if a homeowner makes an alteration to the flooring after installation or improperly cleans it, he risks voiding his warranty. Dealers frequently offer financing through specialty credit cards. Others provide financing through loans, either their own or through local banks. Interest-free offers: Interest-free offers are a good idea if you know you can pay off the bill before the term expires; otherwise there are hefty interest charges. Credit impact: Loans from local flooring and carpet companies can hurt your credit score because local businesses often charge higher interest rates than national companies and are seen as lenders of last resort. Requirements: A down payment from 1–10 percent and a minimum purchase amount are common prerequisites for financing through a loan; store credit cards tend to require minimum purchase amounts but no down payments. Best Flooring Company Free in-home estimate! Marble flooring and exotic hardwood flooring are popular offerings for upscale buyers with large budgets. These buyers may also want to customize their flooring. Budget seekers want flooring that looks nice and is inexpensive. Overstocks at a wide variety of stores can provide this budget option; laminate and carpeting are also good, less-expensive materials. Animals and children increase flooring wear and tear and the odds of staining. Harder surfaces, such as tile and laminate, are usually best in such situations. Online shoppers have as many options as customers who shop in person. Free samples from some stores as well as delivery and installation options add to the convenience of store shopping. Homeowners who have a commitment to buying environmentally friendly products can feel secure when they purchase certain flooring brands, especially sustainably harvested hardwoods, bamboo and cork flooring. The year 1959 saw the founding of Empire Today in Chicago. Since then, the business has grown into a true empire with locations in the majority of U.S. states. In 2008, three friends developed Hardwoodbargains.com with the aim of offering consumers flooring at manufacturer prices. Consumers can stop by the two physical locations in Austin and San Antonio Texas, and Franklin, Tennessee. Personal attention: Each consumer is assigned a specialist who helps them select the right flooring choice, and then walks them through every step of the process. The company will match any online advertised pricing of an identical product. Samples: Samples are free and shipped through FedEx. Environmental attention: The company plants two trees for every tree that goes into making its products. Customization: Hardwoodbargains.com offers customized flooring that includes choice of wood species, sealing, finish, plank dimensions and stain color with a minimum order of 500 square feet. Best for: Online shoppers, budget seekers and green shoppers can find bargains at Hardwoodbargains.com. Luna sells well-known flooring brands like Mohawk, Shaw, Stainmaster and Armstrong. With their 110 percent price guarantee and Love Your Floors Promise, Luna will work hard to make sure you love your new floors. Harmonics Flooring is an exclusive brand only sold at Costco. The company offers four laminate-flooring options including Savannah Hickory, Camden Oak, Sunset Acacia and Mill Creek Maple. Trade magazines such as Floor Focus, Floor Covering weekly and Floor Covering News has recognized Mirage Floors29 times in the last decade for its outstanding quality. The company is based in Quebec, Canada, and its products are entirely made in North America. Sustainable development: Among its environmental practices, Mirage Floors uses wood and waste recycling, and forest preservation. Samples: Mirage Floors offer online ordering of six samples for $19.95, with delivery and shipping included. Dealers: Specialized flooring dealers all across the United States sell Mirage products. Customers can find a dealer near them on the Mirage website. Wood species: Mirage Floors offer more than 10 wood species, including African mahogany, sapele, mahogany, maple, walnut and hickory. The company has three flooring lines: Mirage Classic is solid hardwood; Mirage Engineered is engineered hardwood and Mirage Lock is click-lock plank that have a fiberboard core and solid-hardwood top layer. Products: Consumers can order maintenance and repair products such as mop covers and touch-up kits directly from Mirage. Best for: Green shoppers and luxury shoppers will benefit from shopping at Mirage Floors. Founded in 1976 in California, Floors to Go has grown into a nationwide chain of individually owned stores. 60-day guarantee: The extremely generous 60-day guarantee gives customers more time than the industry standard to decide if their new flooring works long term. Dissatisfied customers can get replacement flooring for free, with labor charges included. Products: Floors to Go offers an extensive line of flooring, including carpet, area rugs, solid hardwood, engineered hardwood, resilient vinyl, bamboo, laminate, stone and tile. It also sells window blinds, shades and interior shutters. Estimates: Floors to Go sends staffers to customers' homes with samples and tools for measurements and estimation. Warranty: Exclusive limited lifetime warranties for staining, soil and wear apply to many products, including carpet variations. Online showroom: The online showroom saves time and allows you to select products and request for a quote from a retail partner. Best for: Floors to Go is a good option for families with kids, online shoppers and budget-minded consumers. Based in San Francisco, Bella Cera is a brand of flooring owned by several large flooring distributors. Its mission is to "add beauty to the world, without compromising its health." Eco-friendly: Bella Cera hardwood floors use eco-friendly stains that have met several certification standards, and California has some of the strictest environmental policy measures in the nation. Bella Cera also uses an ultraviolet drying process rather than a formaldehyde process. Hardwood: The company's hardwood manufacturer focuses on individualistic floor production, using old-world processes such as artisans to carve the wood. Bella Cera offers several hardwood species of flooring, including acacia, cherry, walnut, maple and birch. The company sells both solid-hardwood and engineered-hardwood flooring. Offerings: Some Bella Cera retailers also carry carpet, laminate, tile and bamboo. Contact information for these manufacturers is available at local retail stores. Retail partners: Bella Cera flooring is found in retail locations across the United States. Each retailer sets pricing for flooring and installation, so smart shoppers can often find Bella Cera flooring at lower prices at some stores than others. Finishes: Bella Cera partnered with Valspar to develop finishes that are super-clear and that allow nuances in color and texture to shine through. Best for: Bella Cera appeals to luxury buyers and green shoppers. Making installation easy for the DIY customer is a key focus of Harmonics Flooring. Their products offer simple click-together installation, and questions are answered in English or Spanish on a convenient 1-800-number. If you're seeking artisan-engineered hardwood, Bella Cera Floors is a great option. Each flooring style is designed with boutique-crafted ethos, including hand-scraping and brush-staining for a richer, more unique look. Floors To Go offers the benefits of working with a local company but with the size and purchasing power of a national retailer. Whether you're in the market for tile, laminate or carpet, Floors To Go has an option for you. Hardwood Bargains lives up to its name by offering unique flooring options at manufacturer direct pricing. They also offer rich design tools to make choosing the right product, from hardwoods to vinyl, a simple process. Mirage Floors is committed to offering 100 percent natural hardwood flooring with hundreds of choices in species, finish, installation and design. Mirage products are created with sustainable, eco-friendly practices.